Were happy to help design the engagement ring of your dreams! Any shape size or creative idea can become a reality. We added lots of bling to a classic wedding band. One of two matching 14K White Gold Necklaces using two sisters' Princess Pearls they received as kids! A daughter's Christmas present to her mom- an infinity ring with both of their birthstones set side by side. This diamond went from dated to contemporary in a half bezel two tone setting, now more wearable in a lower setting! Another conversion of an oval diamond engagement ring to everyday ring, with a splash of color! 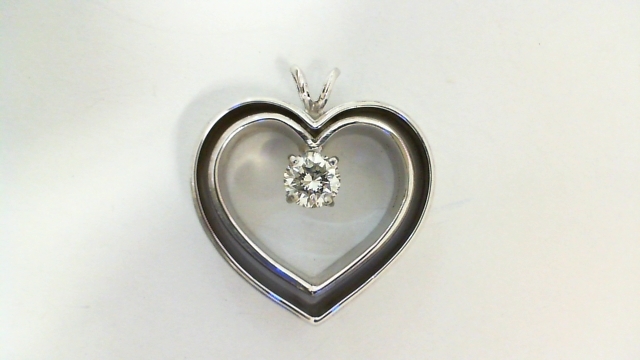 We can make a smaller diamond or colored stone into a larger looking pendant that slides on the chain. Three prongs and no bezel turn this diamond into a simply sparkling necklace! 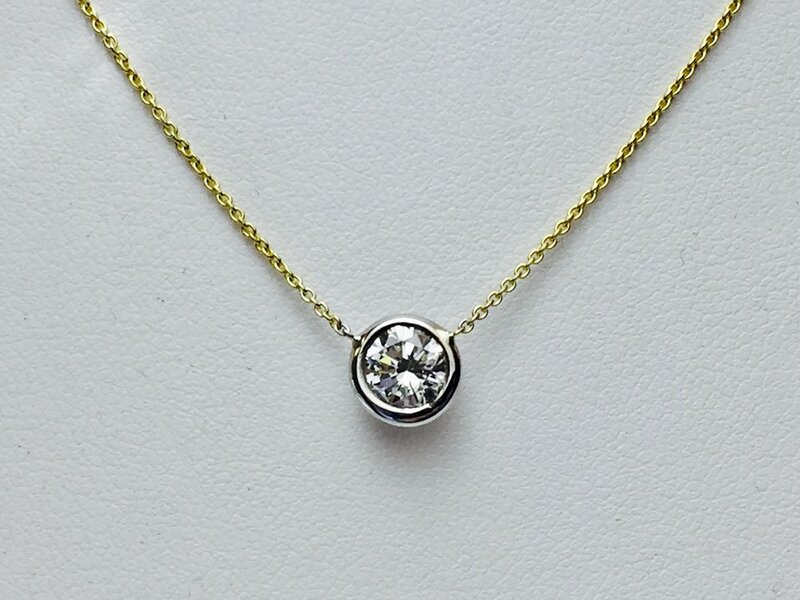 Repurpose a diamond into a stunning bezel set necklace! Yellow gold, white gold or two tone. Single earrings make beautiful pendants! This one shown in 14k white gold.